Educational Choices, a division of Parents United Canada, provides information and support to parents who are considering their options when it comes to their child’s education. We invited Sandra from BCHEA to talk with Norma about Home Schooling. 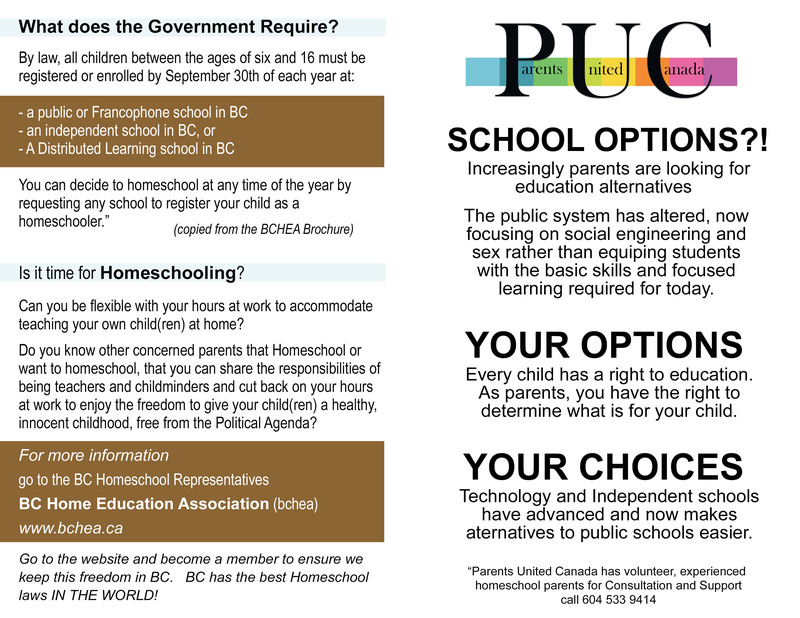 We cover all the educational choices for your children then hone in on Home Schooling information. We offer an info session for parents to learn the basics of what educational programs, curriculum and resources are available to them as an alternative to public education. Meet parents who have taught their children outside of the public school system. Find out what worked for their family. A parent who has attended one of our info sessions can sign up to meet 1 on 1 with one of our experienced volunteer advisors. This provides them an opportunity to explore a personalized education plan specific to their child(ren) and family needs when considering a transition from public school. During a scheduled appointment with an advisor, the parents have the option to peruse our resource library. They are able to look at the book selection and decide what would best fit their needs when it comes time to purchase books. The advisor can also offer helpful suggestions relying on their first hand experience. 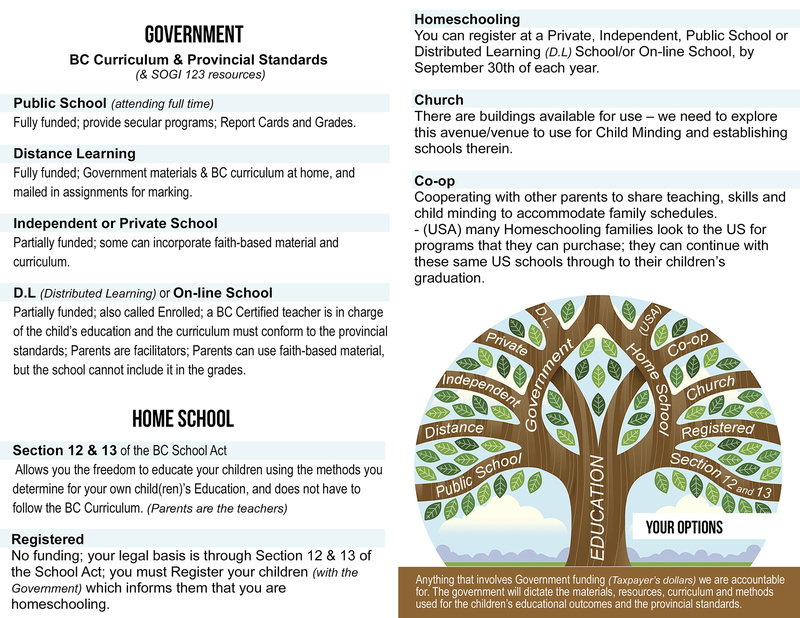 We have created a brochure that covers all the educational choices a parent has to choose from as well as helpful resources. Click here and here for both sides of our brochure.